Just as the March of our Lives began, France will have to mourn 1 of their own - killed in the line of duty. Lt. Col Arnaud Beltrame was killed when an ISIS foot soldier shot him in the neck after the gunman killed 2 and wounding 5. Police swarmed in killing the gunman after Beltrame was shot right after swapping himself for a woman that was held on gunpoint. 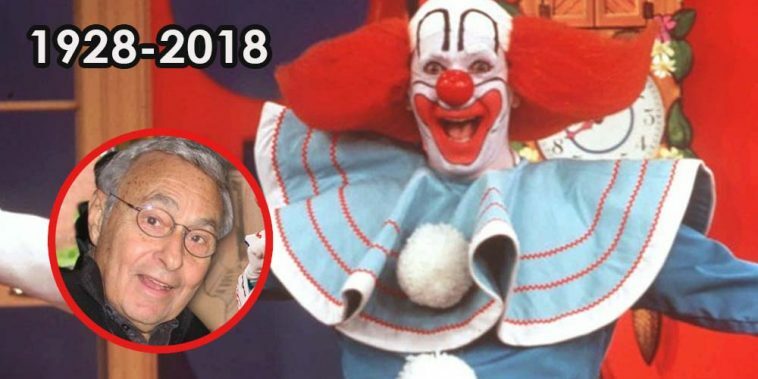 Boston's TV personality Frank Avruch who became 1st nationally-syndicated Bozo The Clown, has passed on from heart disease. Avruch donned the costume from 1959 thru 1970. France's fashion Icon Count Hubert De Givenchy - who was the main designer that developed the wardrobe of Audrey Hepburn, Lauren Bacall, Greta Garb, Grace Kelly, Jacqueline Kennedy Onassis among others, has passed peacefully. 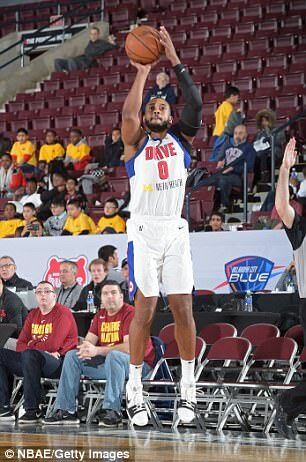 NBA G-League player Zeke Upshaw collapsed during a game with 49 seconds left and succumbed to cardiac arrest. Upshaw's team The Grand Rapids Drive were playing the Long Island Nets. The Drive were leading right before Upshaw collapsed in the court. The NY Mets will mourn another legend from the 1973 World Series title. Former slugger Rusty Staub has passed away this morning. Debbie Lee Carrington - actress / stuntwoman of diminutive size that landed her roles in Star Wars: Return Of The Jedi, Howard The Duck, Spaced Invaders, and well known for her supporting role in the 1990 version of Total Recall, has passed. Other credits include Batman Returns, Seinfeld, Child's Play, Men In Black, In Living Color among others. 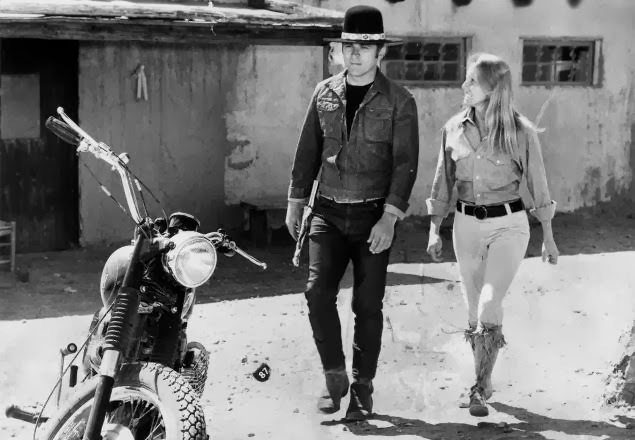 Delores Taylor (Shown with her late husband Tom Laughlin [1931-2013]) actress from the famed Billy Jack series, has passed from dementia complications. Delores stared in 4 Billy Jack films starting with The Born Losers. Aside from co-producing the film, she also co-produced The Master Gunfighter with her Tom as the lead role. She was nominated for a globe in 1972 for New Star of the Year. 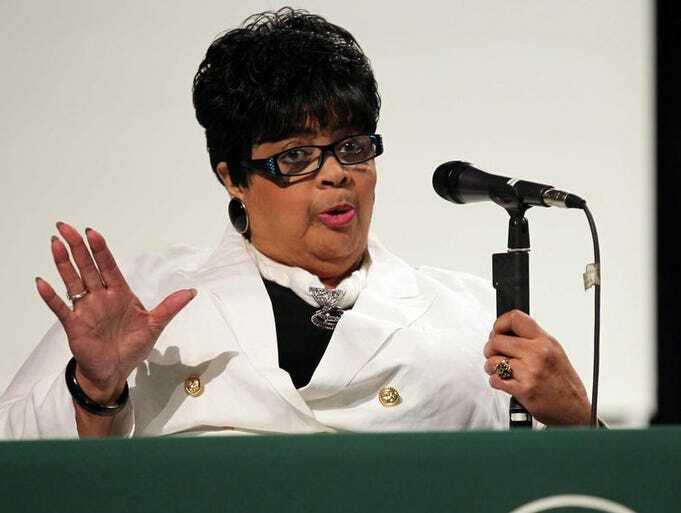 Linda Brown Thompson - An activist who fought her right into attending a school where segregation was still in existence where she became the center of the Brown vs The Topeka, Kansas Board of Education, has passed. Brown-Thompson was 9 when her parents wanted to enroll what used to be an all-white school right before the board blocked their request. It prompted for the family to file a lawsuit against the Topeka Board of Education. It took years to comply to end the segregation right after the Browns filed a 2nd lawsuit in 1955. Johan Van Hulst: teacher and Holocaust hero who saves hundreds of Jewish children from being sent to Nazi concentration camps during WWII. He was 107. 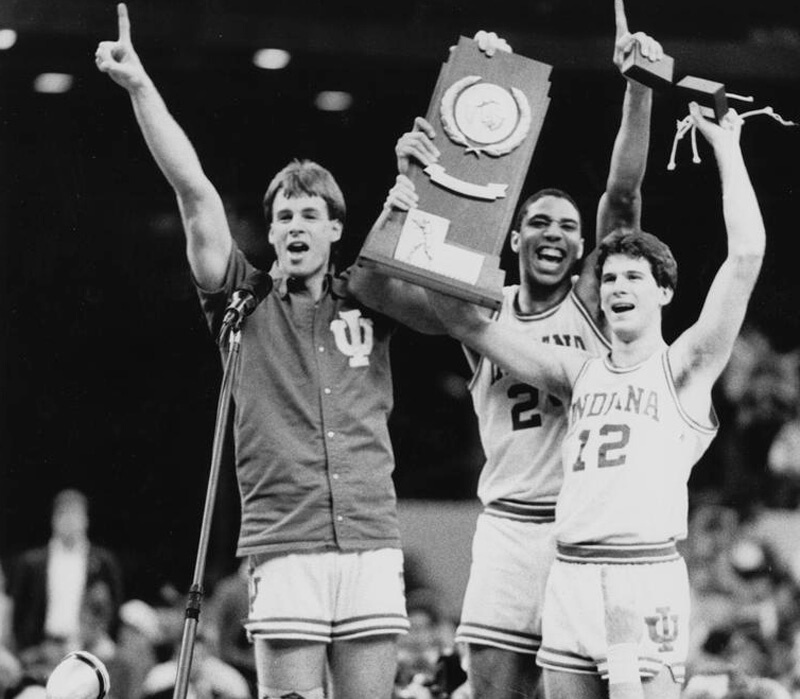 Daryl Thomas (Middle) - Member of the Indiana Men's basketball 1987 Championship team, has passed from a heart attack. Thomas was 52. Anti-Apartheid activist Winnie Mandela, former wife of the late Nelson Mandela, who fought a struggle to have her then-husband released. But in which in later life was marred by corruption that led to a divorce in 1996, has passed. 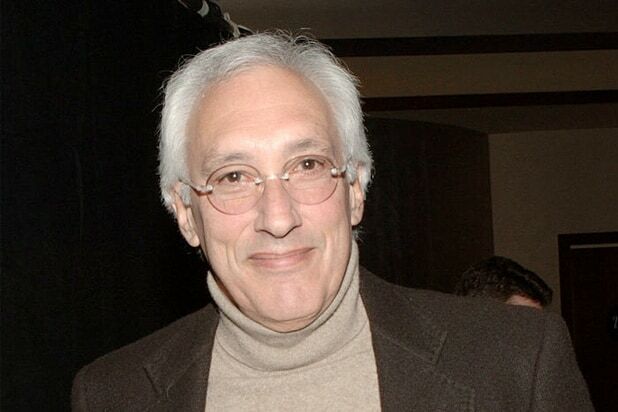 Master TV producer and writer Steven Bochco who brought us Hill Street Blues, LA Law, Doogie Howser MD, and NYPD Blue to the smallscreen has succumbed to leukemia. The 4-time Peabody award and 10-time Emmy award winning producer was 74. 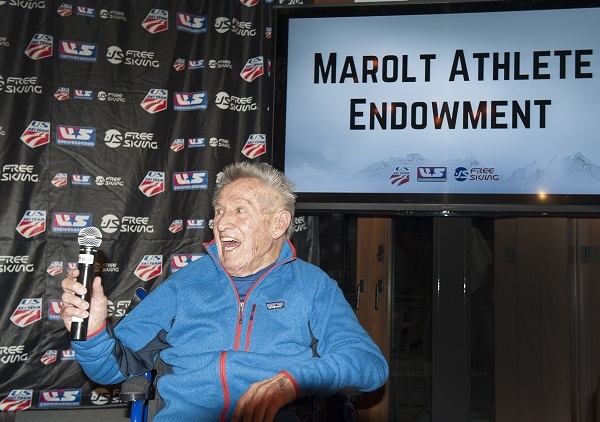 Former US Alpine Skiing coach and ABC Sports commentator Bob Beattie has passed. Beattie was color analyst for World Cup events, and play-by-play announcer alongside Frank Gifford during the Olympics in 1976,1980,1984, and 1988. He was also the co-founder of the World Ski Tour in 1966. Passing away this past Wednesday - veteran Korean-American actor and voice actor Soon Tek Oh who was also the co-founder of the Asian-American company East West Players. Oh will be remembered in his roles such as the Lt. Yip in "The Man With The Golden Gun", Col. Yin in "Missing In Action 2: The Beginning", "Good Guys Wear Black", "The Final Countdown" as the captured Zero pilot (Shown with Katherine Ross), The Sensei in "Beverly Hills Ninja", and the memorable voice of Fa Zhou in Disney's Mulan. He was also involved in TV roles in Hawaii Five-O, M*A*S*H, Airwolf, Logan's Run among others and made-for-tv movies. Thomas Sullivan - better known as former in-ring wrestler and manager "Luscious" Johnny Valiant was struck and killed by a truck as he crossed a busy road. A prayer for the town of Humbolt, Saskachewan after a bus that carried a junior hockey team was struck by a semi. The death toll now stands at 15. 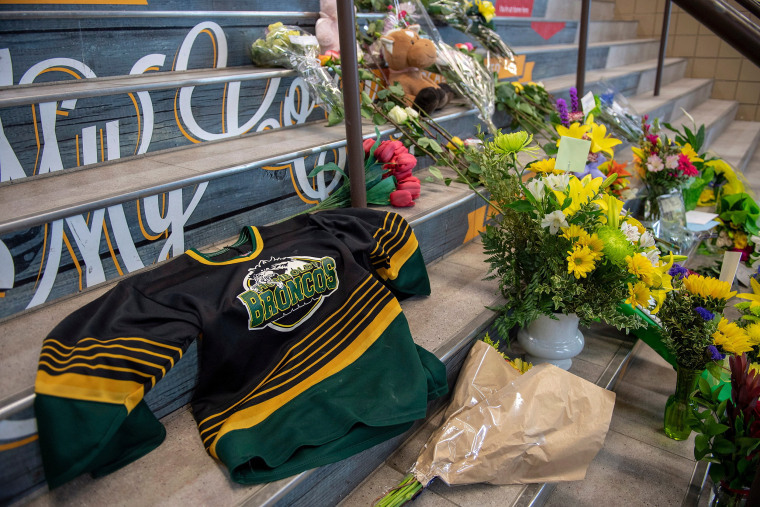 The Canadian team, The Humbolt Broncos were on their way to Nipawin for a semi-final game when the crash occurred. Of the 15, their head coach, team captain and a radio announcer were confirmed. Our hearts go out to their families. Military air casualties continue to mount. This week, the Air Force are mourning 1 of the elite Thunderbirds. Major Stephen Del Bagno was killed while flying Thunderbird 4 at the Nevada Test and Training Range at the Nellis Air Force Base just located near Las Vegas. Major Del Bagno was 34. This past Wednesday, 4 US Marines were killed when their CH-53E Super Stallion helicopter from the 3rd Military Air Wing based in Miramar crashed in El Centro. The 4 that were killed were Capt. Samuel A. Schultz, 1st Lt. Samuel D. Phillips, Gunnery Sgt. Derik R. Holley and Lance Cpl. Taylor J. Conrad. 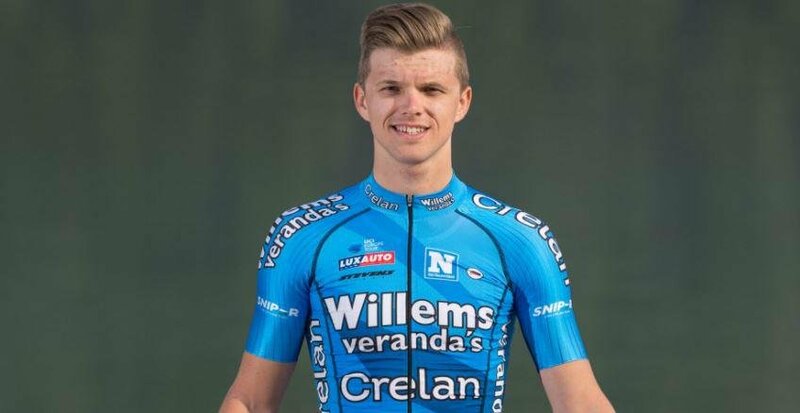 The world of cycling are mourning the passing of Belgian cyclist Michael Goolaerts during the Paris-Roubaix event when he collapsed just 93 miles from the finish line. Goolaerts would go into cardiac arrest right before the arrival of medical teams. He was airlifted to a hospital at Lille. But he was pronounced dead. 2 more servicemen were identified this past week after Apache helicopter crashed Friday. Chief Warrant Officer 3 Ryan Connolly, and Warrant Officer James Casadona were killed on site of the crash during a training routine in Fort Campbell, Kentucky. The 37-year-old Connolly was an instructor pilot and the 28-year-old Casadona was part of the 101st Airborne Aviation Brigade. Mitzi Shore (Left - shown with the late Sam Kinnison) - Owner of the Comedy Store, and mother of Pauly Shore has passed on due to complications of Parkinson's Disease. She obtained sole ownership of the property right after her divorce from Sammy Shore whom he co-founded in 1974. Mitzi was 87. Yvonne Staples - baritone singer and member of the family group The Staple Singers, succumbs to colon cancer just 2 weeks after her diagnosis. Yvonne was 80. 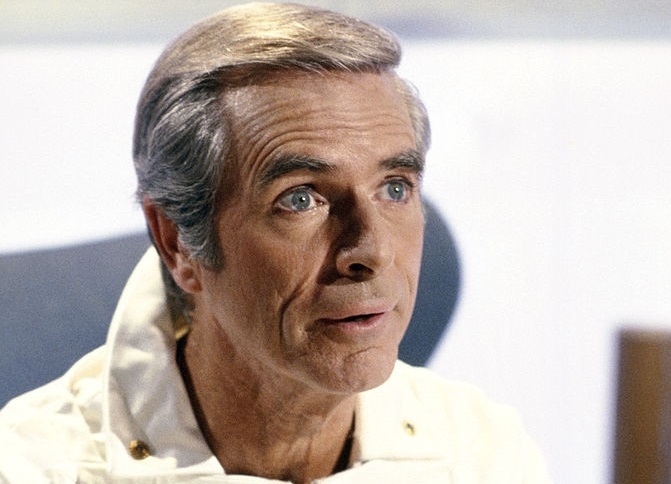 Actor Tim O'Connor - Former soap star in ABC's Peyton Place who also starred in guest appearances and his role as Dr. Elias Huer in the short-lived 1979-1981 sci-fi series "Buck Rogers in the 25th Century". Tim passed away this past April 5th in his sleep. Actor Eugene Francis: who played 4 films of the East Side Kids, has passed. Eugen was 100. 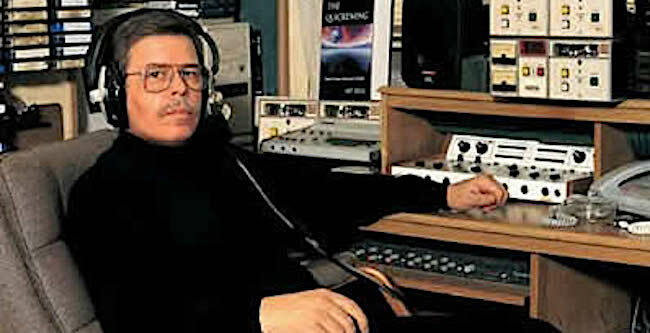 Art Abell: Radio personality and overnight host of the paranormal radio programs, has passed on Friday. The host of Coast to Coast AM and Midnight in the Desert was 72. Jan Tomas "Milos" Forman - 2-time Oscar winner for best director in "One Flew over the Cookoo's Nest" in 1975, and "Amadeus" in 1984, has passed from a short illness. 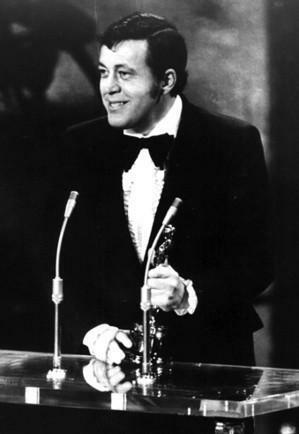 His 1st award he earned for his 1st US film was Cannes Film Festival GP. Along with his Oscars, it followed with 3 golden globe for the same 2 Oscar-winning films and "The People vs Larry Flynt" in 1996. He also received the Czech Lion in 1998. And the Crystal Ball at the Karlovy Vary International Film Festival in 1997. We will miss R. Lee Ermey. The Mail Call and Lock and Load host and the Golden Globe nominee for his role as Drill Sargeant Hartman in the classic "Full Metal Jacket" has succumbed to pneumonia. He also provided his voice in numerous cartoons. Including his role as the rubber soldier in Toy Story. 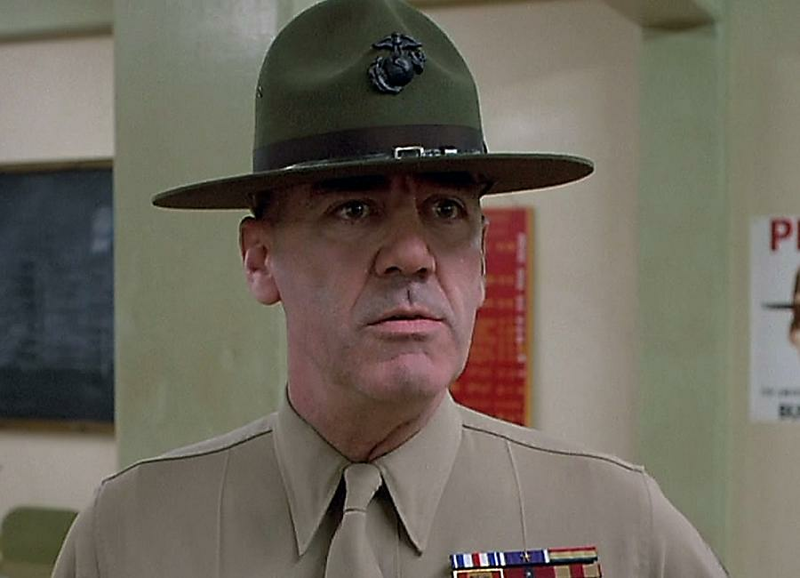 Ermey - who was also a Staff Sergeant with the Marines - was 74. Last edited by Placid on Tue Jun 26, 2018 12:33 am, edited 1 time in total. It is 5 years since the Boston Bombing. Let's remember the 3 victims who lost their lives in the bombing and the officer killed in the line of duty. WE ARE WITH YOU, BOSTON!!!! Also passing away this month. 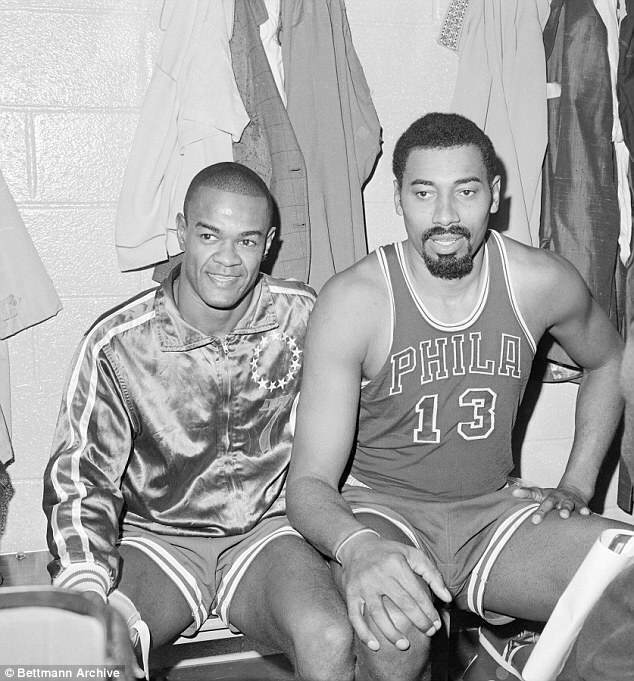 Former Sixer and Hall Of Famer Hal Green (Shown with Wilt Champberlin). Greer is the Sixers' all-time leader in points (21,586), field goals (8,504), field goals attempted (18,811), games (1,122) and minutes played (39,788). For his career, he averaged 19.2 points and 4.0 assists per game. He was a 10-time All-Star, seven-time second-team All-NBA selection and won an NBA title in 1967. He was inducted into the Naismith Memorial Basketball Hall of Fame in 1982. Greer was 81. 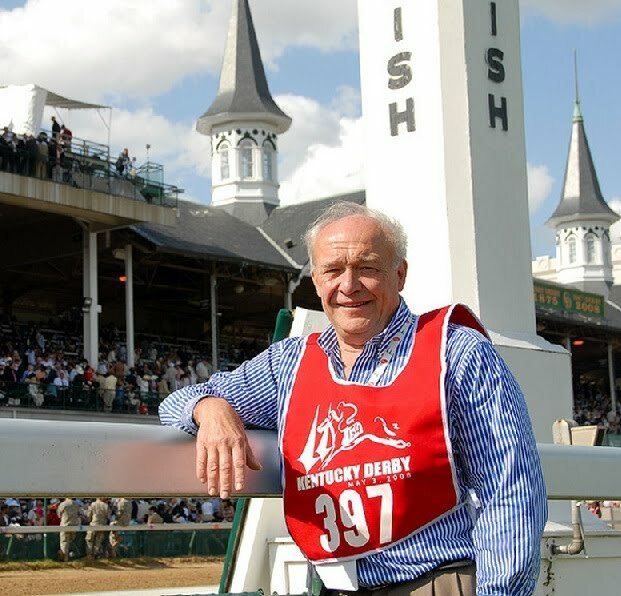 Sports author William Nack, the esteemed thoroughbred-racing writer from Sports Illustrated whose book about Secretariat paved the way for the popular 2010 film about the legendary Triple Crown winner, has died. Nack died Friday at his Washington home from complications associated with cancer, his family announced. He was 77. The world of comedy, magic and TV has lost another pioneer. Harry Anderson - TVs beloved judge of Night Court fame has passed. Anderson was found at his home by police. No foul play is involved. A nation mourns following the passing of former 1st lady Barbara Pierce Bush (Shown with Raisa Gorbachev) after succumbing to complications from congestive heart disease and chronic obstructive pulmonary disease, or COPD. All this after she decided to decline any kind of medical treatment. The Former 1st Lady, wife, mother, humanitarian, literary advocate was 92. Also passing away. NPR radio personality Carl Kasell due to complications of Alzheimer's. The wrestling world mourns. Bruno Sanmartino (Shown with Arnold Schwarzenegger)- a 2-time WWE champion, has passed due to health issues right next to his family. The 2013 Hall of Famer was 82. Verne Troyer -Actor and stuntman that brought his major in Austin Powers: The Spy Who Shagged Me as Mini-Me, was found dead in an apparent suicide due to huge levels of Alcohol. Tim Berling - music producer and well known as DJ Avicii, was found dead at a hotel in Oman. Avicii was a pioneer of the Electric Dance Movment who started at the age of 20. His constant touring took a toll on his health and was forced to retire from touring in 2016 after he was diagnosed with acute pancreatitis. His death was possibly related to that and to the heavy drinking in 2014 that he forced to cancel shows. We may not have cartoons on Saturday mornings. But it will not be the same. Bob Dorough - another music "Jack of all Trades" (jazz pianist, singer, composer, songwriter, arranger and producer) and well known as the performer of the "Schoolhouse Rock" shorts, has passed away from natural causes. 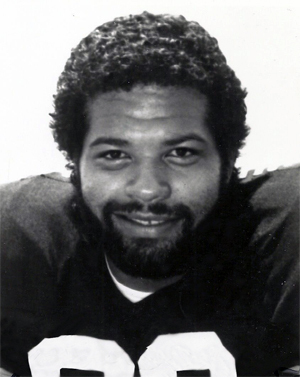 Former Steeler Tight End Bennie Cunningham who has succumbed to cancer this past Monday. Drafted out of Clemson, Cunningham was part of 2 Super Bowl winning teams in 1978 and 1979. Philip D'Antoni - Producer for the French Connection that resulted an Oscar and a Golden Globe Award has passed on April 15th due to kidney failure. D'Antoni was also credited for the Steve McQueen film "Bullit", and for the "French Connection" follow-up "The Seven-Ups"
The Nevilles will now mourn 1 of their own. 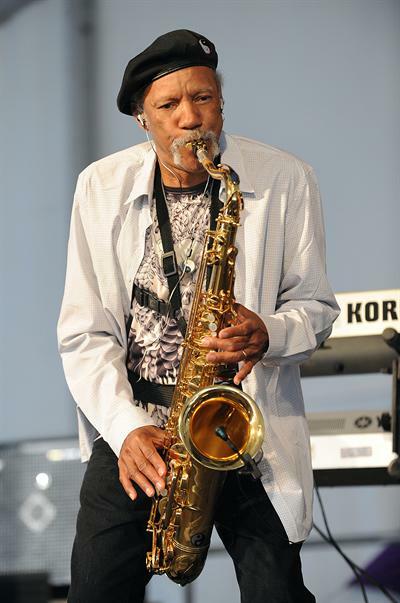 Saxophonist Charles Neville just passed away today after losing his battle to pancreatic cancer. Charles was 79. Say hello to Fats for us. The NASCAR world are in mourning following the death of 1966 NASCAR Rookie Of The Year James Hylton who was killed along with his son James in an accident at the Interstate I-85 just around 6AM. Pamela Gidley: Actress who played in a role in Twin Peaks: Fire Walk With Me, just passed away. She was 52. Alfie Evans - the 23-month old boy who was caught in the middle of a court case where he was denied treatment for a degenerative neurological condition that left him in a vegetative state was pronounced dead after he was taken of life support. Mississippi rapping prospect Lonnie Taylor known as "Lil Lonnie" was shot and killed in 1 of 3 separate shootings that also claimed another life. Former President of operations for the NY Islanders and Florida Panthers Bill Torrey has passed. Torrey was considered as the architect of the NY Islanders dynasty that brought 4 Stanley Cup titles from 1980 thru 1983. The Martial Arts world has lost a great Tae Kwon Do father. Grand Master Jhoon Goo Rhee (Shown with Bruce Lee) who became the Father of American Tae Kwon Do, has succumbed to shingles while being in hospice care. this past April 30th. Jhoon also trained numerous celebrities and politicians thru the years. Rhee a 10th degree black belt was 86. John "Jab'o" Starks - Drummer who provided numerous songs for James Brown from the '60s and '70s, lost his battle to acute leukemia right after he developed myelodysplastic syndromes, a bone marrow disorder, in January 2017. 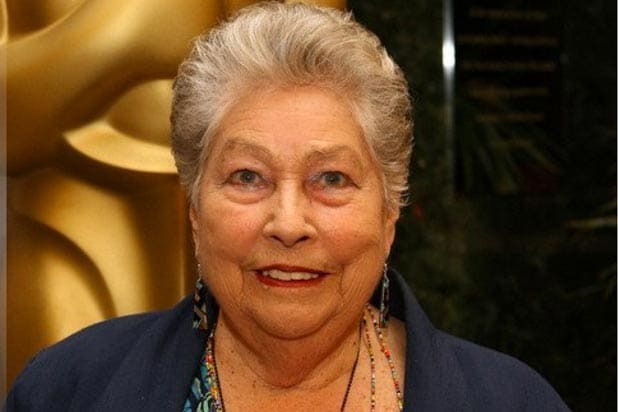 Anne W Coates - Oscar-winning editor for the 1962 film "Lawrence Of Arabia". She was nominated for Becket (1963), The Elephant Man (1980), In the Line of Fire (1993) and Out of Sight (1998). She also received her 2nd Oscar for Lifetime Achievement. Another Wrestling Blast From The Past has left us to the ring in the sky. Nick Conrad Busick - well known for his in-ring persona "Big Bully" has passed away from complications of a cancerous brain tumor where it was transmitted into his spinal cord fluid. 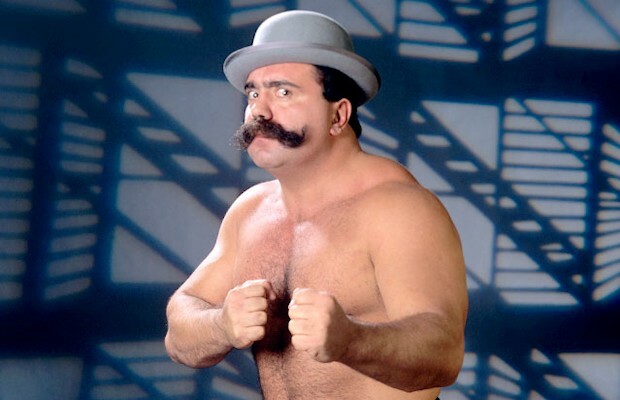 Busick was 1 of them odd-ball heels where he had Harvey Whippleman as his manager in which he donned his turtleneck sweater, his derby hat, a huge cigar and his handlebar mustache. The former cop and powerlifter was under the tutelage of the late Jerry Blackwell and wrestled in the WWE from the early 80s up until 1991. Busick would also suffer from other health complications where he got hit with cardiac arrest in 2005. But was saved with a defibrillator. 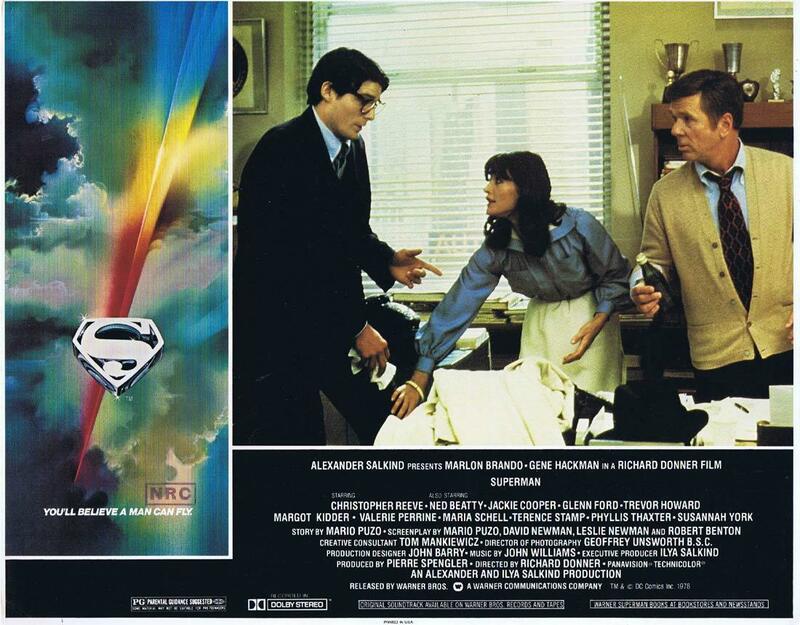 Iconic actress and bipolar disorder advocate Margot Kidder - who will be remembered for her role as "Lois Lane" in the original Superman "Quadrilogy' series, has passed peacefully at her home in her Livingstone, Montana home this past Sunday. Say hi to Christopher and Jackie (Jackie Cooper who played Perry White) for us. We like to send a special prayer to the families and loved ones of the Puerto Rico Air National Guard after the loss of 9 airmen who were killed in a plane crash this past May 2 near Savannah Ga. The plane and crew were part of numerous humanitarian missions from Hurricane strikes just as it was being ready to be de-commissioned. The WC-130 was part of the recovery efforts from Hurricanes Irma and Maria. Maj. José R. Román Rosado, - pilot, from Manati, Puerto Rico, who had served 18 years in the military. He is survived by his pregnant wife and two sons. Maj. Carlos Pérez Serra, - navigator, from Canóvanas, Puerto Rico, who served 23 years in the military. He is survived by his wife, two sons and a daughter. 1st Lt. David Albandoz, - pilot from Puerto Rico who recently resided in Madison, Alabama, and had served 16 years in the military. He is survived by his wife and daughter. Senior Master Sgt. Jan Paravisini, - mechanic, from Canóvanas, Puerto Rico, who had served 21 years in the military. He is survived by his two daughters and a son. Master Sgt. Jean Audriffred., from Carolina, Puerto Rico, who had served 16 years in the military. He is survived by his wife and two sons. Master Sgt. Mario Braña, - flight engineer, from Bayamón, Puerto Rico, who had served 17 years in the military. He is survived by his mother and daughter. Master Sgt. Víctor Colón, of Santa Isabel, Puerto Rico, had served 22 years in the military. He is survived by his wife and two daughters. Master Sgt. Eric Circuns, - loadmaster, from Rio Grande, Puerto Rico, had served 31 years in the military. He is survived by his wife, two stepdaughters, and a son. Senior Airman Roberto Espada, of Salinas, Puerto Rico. He had served three years in the military, and is survived by his grandmother. 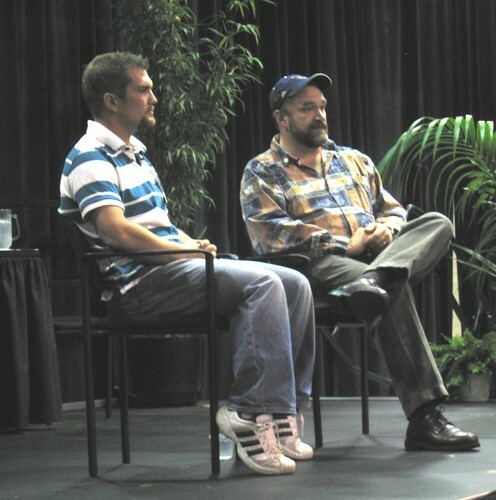 Blake Painter (Left in and undated photo with fellow Captain Keith Coburn of the Wizard) - Former captain of the Crab Fishing vessel Maverick in the reality series "Deadliest Catch" was found dead at his Oregon home. Cliff Tucker - Former Maryland Basketball player was 1 of 3 people killed in a car crash at Interstate 10 at Balmohrea, TX. 4 more people - including a 3-year-old wre injured in the crash where none of them wore seat belts. Dr. Henry Bock: Former Indy Car Senior Medical Services director who also worked at the same position at the Indianapolis Motor Speed has passed. Edward Harrington known in the Chicago Blues world as Eddie Clearwater "The Chief" who began his roots as a gospel guitarist before heading to Chicago to become a blues guitarist, has passed this past Friday due to heart failure. Last edited by Placid on Wed Jun 13, 2018 11:27 am, edited 1 time in total. William Edward Phipps: Veteran and legendary actor remembered as the voice of Prince Charming in Disney's Cinderella, has succumbed from compliactions of lung cancer. Phipps was also credited in roles in War Of The Worlds, Invasion From Mars, Five. Dwight Clark - The most prolific tight end known for the "Catch that was heard around the World", has succumbed to ALS. Clark was part of the 49ers dynasty of the 1980s that brought 2 Super Bowl titles. And it was the "Catch" in the 1982 NFC Championship that took them to Super Bowl XVI for their franchise 1st title. He would later added Super Bowl XIX in 1985. Clarence Fountain 1 of the 2 last surviving members and co-founder of the blues band The Blind Boys of Alabama, has passed at 88. Chicago Firefighter Juan Bucio was recently laid to rest. Bucio died while he and fellow CFD colleagues were searching for another missing boater - 28-year-old Antonio Perez. Just like Antonio, he was also a father of 2 children. Perez was eventually found a few days later. Jerry Maren - known for being the munchkin and last surviving munchkin in the 1939 classic flick "The Wizard Of Oz" has passed in hospice care. Former Cardinal Infielder, manager and MLB's oldest Hall of Famer Alfred Fred "Red" Schoendienst who managed 2 World Series titles in the 1967 and 1969 and was a coach for the 1964 Cardinals and took temporary stints as manager in 1980 and 1990, has passed away during the 3rd inning between the game of the Cardinal and Marlins. Inducted into the Baseball Hall of Fame who was ranked #2 for most all-time wins as a manager was 95. Former Fleetwood Mac guitarist Danny Kirwan, whose stint only lasted 3 years due to health issues that included alcoholism.